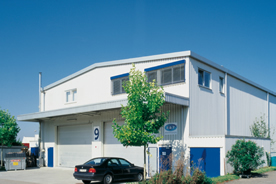 Founded in 1997 we are a growing medium-sized company from Germany that has been one of the leading services providers in the field of packaging and processing of electronic components. We are your one-stop provider for excellent services in microelectronics - including scanning, tape and reel services, straightening, programming, bake and dry, cutting, bending, forming and stamping as well as visual inspection of components and are thus able to offer you a full range project management for your business. Our superior quality assurance and quality control is certified according to ISO 9001:2015 and IATF 16949. Apart from integrated, perfectly organised workflows we offer you a detailed traceability of every single operation of the processing. Moreover, we personally stand for the quality of our services. We combine outstanding technological competence with creativity and inventiveness. Thanks to our wide range of services we can provide you with customised solutions that will exactly meet your requirements. Furthermore, within only a few days time we will also produce special carrier tapes for non-standard components or build tailor-made tools and appliances as well as special machines or even complete production facilities to fit your specifications. We are passionate technicians who are eager to develop tomorrows technology first. Thats why technological innovations happen here at S&P almost daily. Comprehensive technological competence, in-depth know-how and years of experience have turned us into one of the most innovative and knowledge driven services providers in microelectronics. We regard our business partners as true partners with whom we work together closely on a basis of mutual trust and cooperation. Sharing the same aims, we guarantee you unusually short pass-through and delivery times, an excellent cost-benefit ratio and outstandig quality. Within our well structured company you will easily find reliable partners who will be happy to personally assist you. Our current customers stem from a huge diversity of industries including mechanical engineering, telecommunications, medical and aerospace technology, automotive and consumer electronics  among others. When can we welcome you?